Lillian Josephine Bures, age 91, beloved wife of the late Vincent Frank Bures who passed away in 1977; loving mother of Scott Bures (Diane), Sheril Scholtz (Jim) and their children Kevin, Jaclyn, Kaitlyn (Jeff), and mother of Steve Bures (Penny) and Stan Bures (Gertrude); dear grandmother and great-grandmother of many. Lillian enjoyed ballroom dancing and spending time with her loving family. She will be remembered as the life of the party and will be dearly missed. 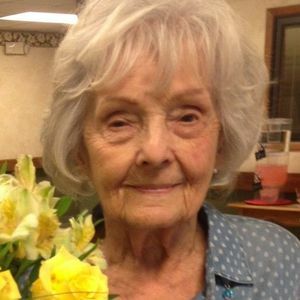 She passed away on Monday, April 15, 2019. In place of flowers, please consider a contribution to Altenheim Senior Living, 18627 Shurmer Road, Strongsville, Ohio 44136, or visit www.altenheim.com. Lillian's Mass of Christian Burial will be celebrated on Wednesday, April 17, 2019 at 11:30 A.M. at Holy Family Church, 7367 York Road, Parma (Please Meet At The Church). Interment will follow at Holy Cross Cemetery in Brook Park. Babitt-Busch Funeral Home of North Royalton, Ohio is serving the family. Please enhance this tribute to Lillian Bures by adding your memories and photos.